Sahar believes that everyone can nurture creativity and has a firm commitment to naturally bring out those qualities through her easygoing teaching techniques. 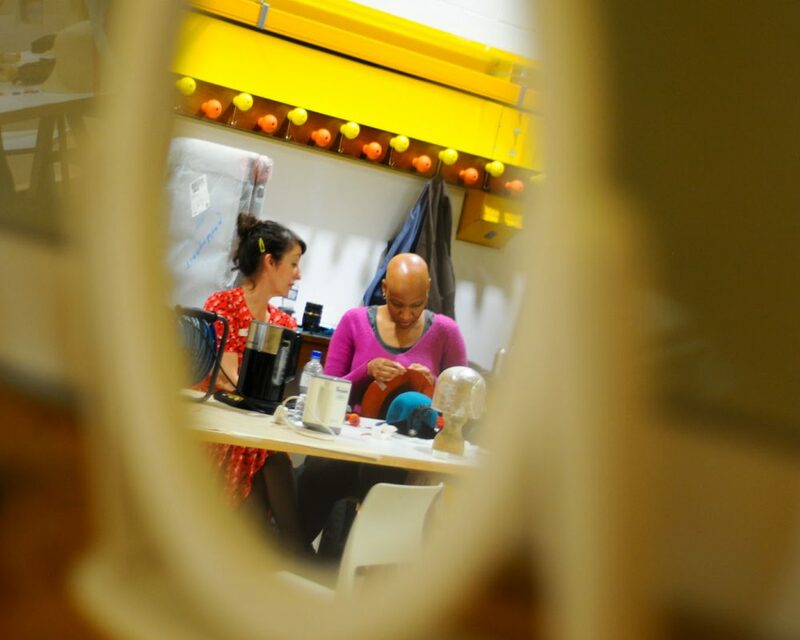 Sahar has run several successful millinery workshops, including a specialized ‘felt steaming’ workshop for the Institute of Making and millinery demonstrations for The Barbican. 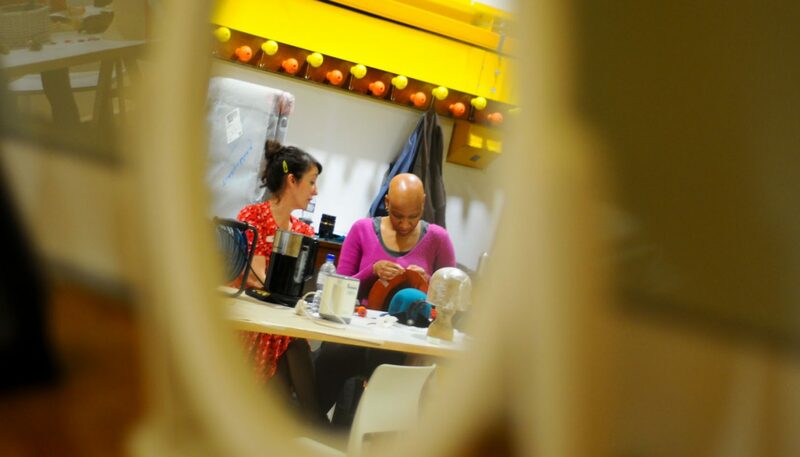 She has also set up ‘Hat Over Heels’ – a hat-making workshop for women who have lost their hair. Sahar holds workshops for beginners at her studio, and is available to teach at colleges, hen parties, corporate events, institutions and events. Please contact Sahar for further information or if you are interested to book onto a course or create a bespoke course for you. 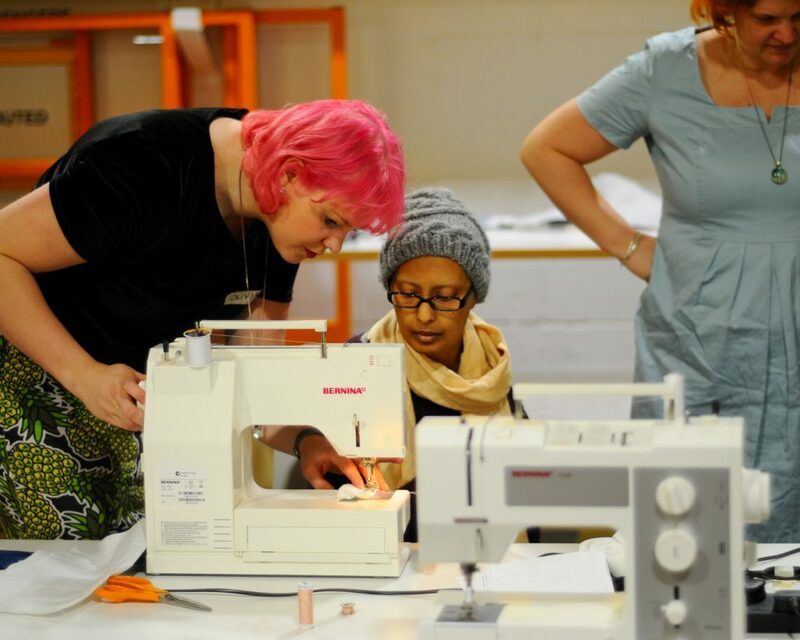 Sahar holds one off fascinator making workshops, felt hats or other bespoke workshops which could be held in her workshop or at a venue of your choice including your own home. 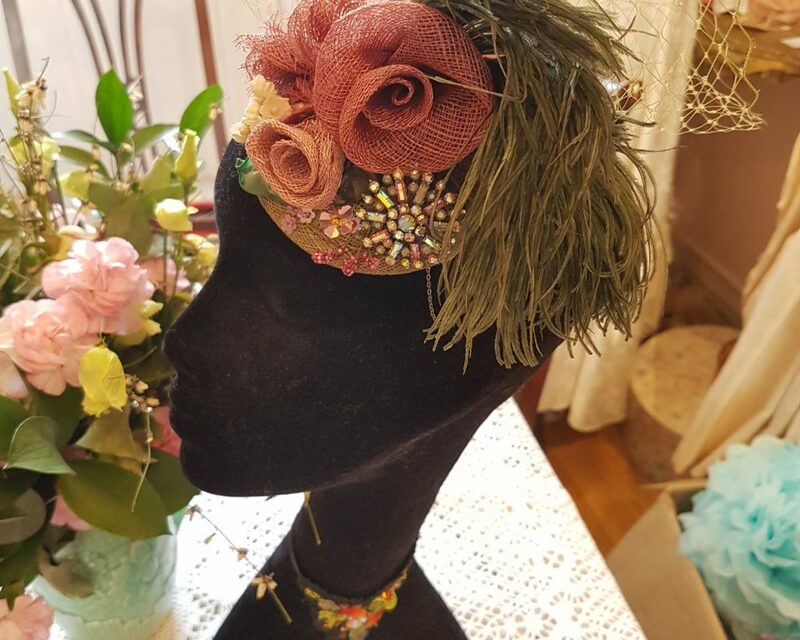 Sahar’s most popular beginners course is using sinamay (the most used material in summer hats) where she teaches how to mould sinamay to make fascinator bases and flowers, a tutorial in feather manipulation and how to attach birdcage veil. 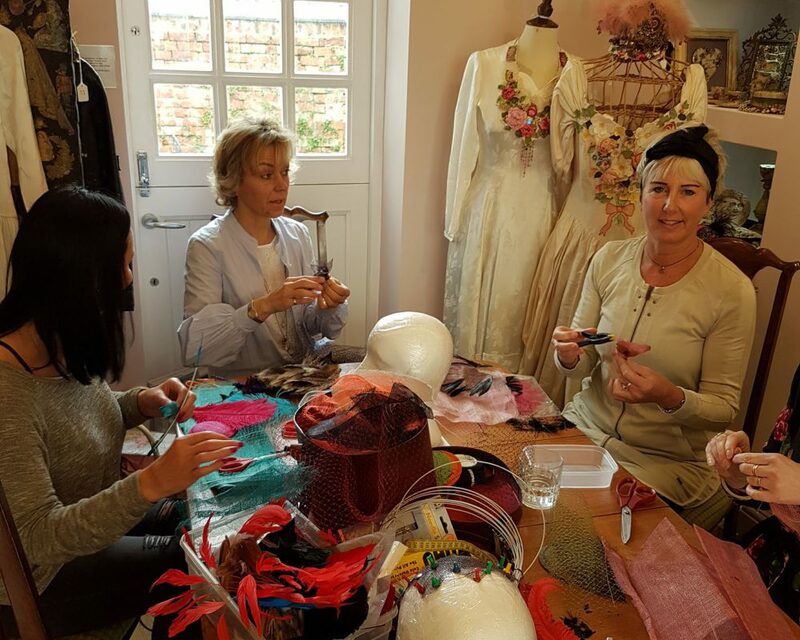 Sahar Millinery hosts team-building workshops for businesses and corporate events. This can take the style of a boardroom type hat making workshop, or can be set up with different creative work-stations, for people to mingle and create. We can host up to 16 in our studio, or can come to a venue of your choice. Sahar offers fun fascinator making, with birdcage veils, brooches, and vintage glamour! Get creative with birdcage veil, sequins and feathers and make your own fascinator for the big day. Sahar also teams up with other designer makers if you want a variety of crafts at your hen party, so if you want to make candles, soaps or purses – you name it, Sahar can make it happen! Hat Over Heels was set up by Sahar in 2014 and is a free day of hat making for women who are undergoing hair loss. 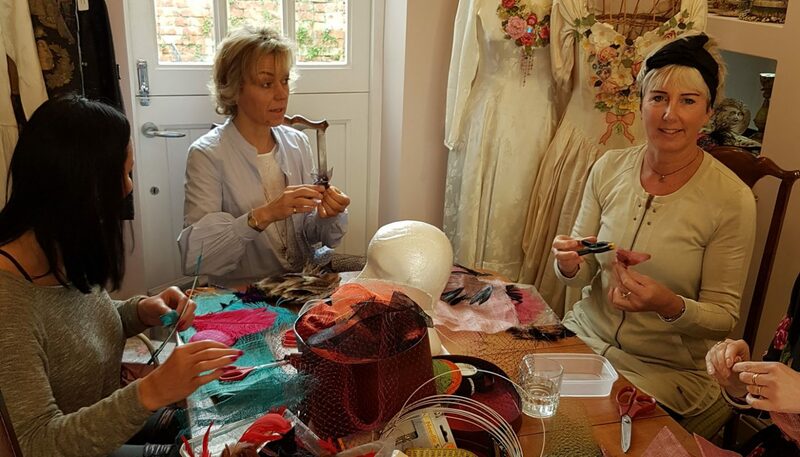 It is designed to be a day of fun, creativity and empowerment where each lady is invited to make or decorate their own bespoke hat or headpiece. The first event was held at the Institute of Making and was a great success. See below for photos and a short film created about the event.